After nearly two years of evidence gathering and interaction with civil society and government officials, last June the UN Committee on Economic, Social and Cultural Rights issued its Concluding Observations on the extent to which UK authorities have been complying with international law on these rights. To the government’s sorrow, the picture was bleak, but the report also included 60 very specific recommendations. For example, the Committee recommends making economic and social rights enforceable in court, just like civil and political rights are, without regressive changes to the Human Rights Act 1998. Authorities must adopt measures to address the deficit of affordable housing, particularly rental housing. The UK should review its fiscal policy to make sure that taxes provide the necessary resources to satisfy economic and social rights. The government must also enact Section 1 of the Equality Act 2010 to ensure that authorities have socio-economic equality in due regard when designing and implementing their policies. Decisive measures must be taken to eliminate the gender pay gap, and reduce the use of temporary and precarious forms of employment, such as “zero hour contracts”. The Committee also expressed serious worries about the negative impact of welfare reforms introduced since 2012, in particular benefit cuts and freezes, the use of sanctions, and the disconnect between state benefits and costs of living. These findings can only be explained if one factors austerity into the equation. The Committee expressed serious concerns about “the disproportionate adverse impact that austerity measures, introduced since 2010, are having on the enjoyment of economic, social and cultural rights by disadvantaged and marginalized individuals and groups”. The Committee had seen the link between austerity and human rights retrogression before in the Czech Republic (2014), Slovenia (2014), Romania (2014), Portugal (2014) and Spain (2012). The connection had also been noted by the Commissioner for Human Rights of the Council of Europe (2013). 2016 was a busy year for the UK government. The Committee on the Rights of the Child published its Concluding Observations in June, and so did the Committee on the Elimination of Racial Discrimination in October. In September, the UN made public a joint letter sent to the UK government some months earlier by the Special Rapporteurs on Housing, on Rights of Persons with Disabilities, on Extreme Poverty, and on the Right to Food, with specific questions about the compatibility of welfare reforms with international human rights obligations of the UK, and the report of the inquiry of the UN Committee on the Rights of Persons with Disabilities was published in October. This Committee stressed a series of concerns about the negative impact of austerity-led welfare reforms on the rights of people with disabilities. UN human rights oversight does not end here. Every five years or so, countries are grilled for three hours in the UN Human Rights Council in what is known as the “Universal Periodic Review”. Next turn for the UK will be May 2017. We don’t know what sort of recommendations the UK will receive from other countries, but many organisations and coalitions, including Just Fair, have already made some suggestions. The joint report produced by the British Institute of Human Rights gathered information from 175 organisations, including Just Fair. Ok, so the UN has spoken categorically, and more is surely coming in mid-2017. But what now? The UK has voluntarily assumed the commitment to bring to live the rights proclaimed in international treaties. International human rights mechanisms provide advocacy opportunities, but they are only as effective as civil society makes them to be. Organisations and society at large must hold the government to account and demand policies that fulfil the human rights promise. As soon as she entered into office, PM Theresa May promised that her government would “make Britain a country that works not for a privileged few, but for every one of us.” For now, however, apart from some minimal announcements in the Autumn statement in November, the government has not changed course from the austerity path initiated by Cameron and Osborne. The government has not reacted to the report of the UN Committee on Economic, Social and Cultural Rights, and in its response to the inquiry report of the Committee on the Rights of Persons with Disabilities, the government ignored entirely the criticism of the deliberate and unjustified retrogressive measures of recent years. Even in turbulent waters, there is room for good news. Following the lead of Scotland (since 2012) and Wales (since 2015), a bill is currently being discussed in Westminster Parliament that would create a new duty to prevent homelessness for all eligible applicants threatened with homelessness in England, which would stop councils turning non-vulnerable single people away without any assistance at all. In November, the Supreme Court ruled on the human rights compliance of the so-called “bedroom tax” (or “spare room subsidy”), which essentially means the lowering of housing benefit for those living in social housing that is deemed to have spare bedrooms. The Court ruled that disabled adults who cannot share a room with another person should not have their spare room subsidy removed, and also that treating children and adults differently in this regard would breach Articles 8 and 14 of the European Convention on Human Rights, on private and family life, and non-discrimination. The Scottish government is considering legalising the right to food in accordance with international human rights standards, and has also announced its intention to introduce a new socioeconomic equality duty on public authorities in 2017. Brexit has taken the UK to an unchartered territory. We don’t know when and how the UK will leave the European Union, and we don’t know the effect that this may have for human rights in general, and economic and social rights in particular. But it is fair to say that the UK is not heading out in order to protect and promote economic and social rights better. At times of enormous political and social uncertainty, in Just Fair we will continue using the international human rights machinery in defence of human rights for all. 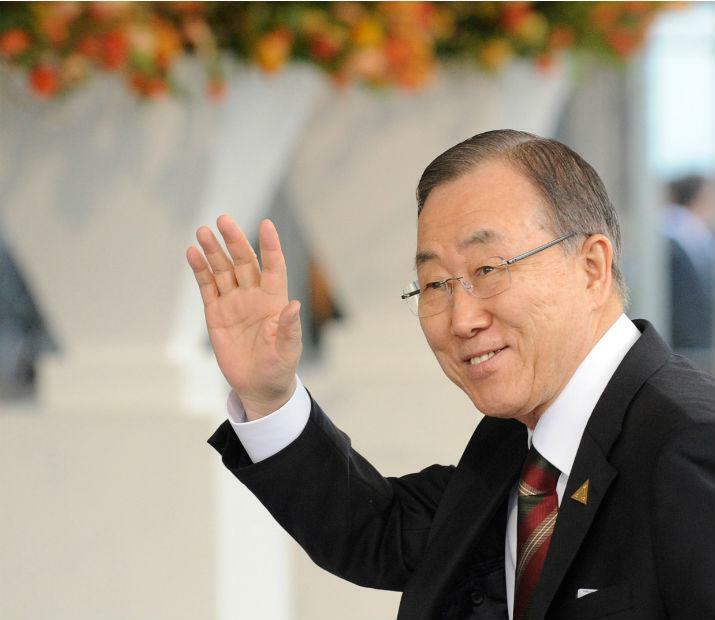 The battle to replace Ban Ki-moon has begun. A recent article by Colum Lynch (@columlynch) in Foreign Policy speaks about the race, the likely competitors and the interests at play. The author explains how the most powerful countries tend to prefer contestants from nations with little weight in international politics. He also talks about the strategies previous nominees have followed, and foresees that the next Secretary General may come from Eastern Europe, notwithstanding the quiet movements of certain players from Latin America to Australia and the ongoing EU-Russia tensions. Not in vain, the UN Secretary General is appointed by the General Assembly, on the recommendation of the Security Council (Art. 97 of the UN Charter), where vetoes are always an option. The United States and the Vatican have recently been criticised by three UN committees for the very same reason: Because both States refuse to accept that their human rights obligations have effects beyond their national borders. International Liberalism and R2P. Have liberalists given up on the ICC? Granted. The title is a little unfair. The truth is that I am only referring to Michael Ignatieff, but I have the impression that the point is extendible to other international liberals, or rather liberalists. This is pure perception. I would be very happy to be proven wrong. I encourage you to use the space below for that. The UN inquiry mission on Syria has expanded their list of suspected war criminals. When they presented their report at the Human Rights Council on Tuesday, they assured that their evidence is solid enough to prepare any indictment at the International Criminal Court (ICC). Syria has not ratified the Rome Statute, but the case could be referred to the ICC by the UN Security Council, as it did unanimously with Libya in 2011 (Resolution 1970). Michael Ignatieff gave an eloquent lecture at King’s College London on Monday. The title was “Legality, Legitimacy & Intervention After Ukraine”. Initially it said “Syria”, but I guess the organisers (or the speaker) decided to adapt the name to the most current events. In any case, Ignatieff talked about both countries.